Kelly Wilson had filed a lawsuit against Disney in March 2014, roughly four months after the November release of Disney’s highest grossing film of all time. The lawsuit claims Disney animators had access to her animated short film “The Snowman” at film festivals where she competed against a Pixar employee. The Snowman tells the story of a snowman whose nose happens to fall in the middle of a frozen pond. The character must race against a group of hungry rabbits on the other side of the lake to retrieve his nose. Wilson’s complaint states that she created The Snowman between 2008 and 2010 and presented the short film at eight film festivals. One of those screenings was at the San Francisco International Film Festival in 2011, where she shared the stage with an employee of Pixar Animation Studios. Disney failed to have the lawsuit tossed upon California federal judge Vince Chhabria‘s opinion that “the sequence of events in both works, from start to finish, is too parallel to conclude that no reasonable juror could find the works substantially similar.” Disney made another attempt to beat the lawsuit on summary judgment. This time, the company looked at YouTube records and made a forensic analysis of who had viewed “The Snowman” online, where the viewers were geographically located, how long they watched, and so forth. 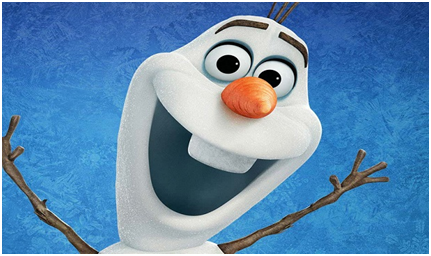 Disney argued the creators of the Frozen trailer lacked access to Wilson’s work. Disney’s lawyers also attempted to introduce denials from witnesses they’d ever seen The Snowman. Those arguments failed too. The judge came out with a new order denying Disney’s summary judgment motion because there’s a genuine factual dispute over whether the creators of the Frozen trailer had access to Wilson’s work. The judge points to evidence that “roughly sixteen Pixar employees saw The Snowman” at that film festival, which the judge adds generated news and might have caused others in the industry to learn about Wilson’s work through word of mouth. And there’s another connection.”Wilson and her co-creator sent numerous job applications to Disney and Pixar, some of which included images from or references to The Snowman,” writes the judge. Disney couldn’t explain away one person who did a YouTube search for “snowman and rabbit” and arrived at Wilson’s work on YouTube. That one unknown person trumps Disney’s diligent efforts to trace everyone who watched The Snowman. “Disney rightly points out that The Snowman was not popular online, but the lack of online popularity actually makes this YouTube search, and its timing, more noteworthy,” says the judge. The Court was advised on June 10, 2015 that the parties have resolved this case. Therefore, it was ordered that the case was dismissed without prejudice. This isn’t the only lawsuit that’s been brought against Disney over “Frozen.” In April, author Muneefa Abdullah filed a copyright infringement suit against Disney and “Frozen” screenwriter Jennifer Lee, claiming that the plot of the film was pinched from “The Snow Princess,” a story included in her book “New Fairy Tales”.